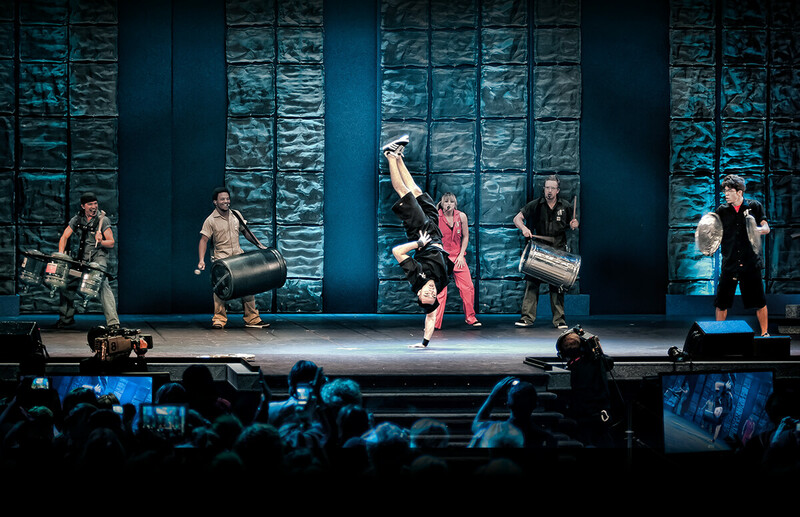 As Dollywood’s Season of Showstoppers continues, a refreshing new performance group visits during May, but as talented as they are, it’s their instruments that may catch guests’ attention. Vocal Trash, which performs in Dollywood’s new Plaza at Wilderness Pass May 9-11 and May 16-24, is best described as “music with a message.” This environmentally-minded cast combines high-energy singers, drummers and dancers to captivate Dollywood audiences with a meaningful experience they won’t soon forget. Vocal Trash has played to crowds across the nation, presenting their own unique take on recycling and conservation through their “upcycled” musical instruments. The group’s instruments all come from items that most people would consider refuse. Vocal Trash, however, wants to remind audiences that many items have a second useful life. The Vocal Trash ensemble uses a toolbox bass and an upright milk urn bass. Their percussion section consists of metal trash cans, PVC pipes, pots and pans, and water bottles and jugs, among other landfill-rescued items. The group combines breakdancing, singing, comedy and more to create an experience guests have never seen before. The band’s message also includes their THINK Program. Utilizing song and dance, the curriculum provides useful methods to teach young minds that their imagination can help them find meaningful ways to reuse items that normally would end up in a landfill. With the number of school groups traveling to Dollywood in the spring, Vocal Trash’s performances are perfect for visiting students. “Vocal Trash encourages both children and adults to use their imagination in a meaningful and lasting way as it relates to ‘eco-friendly living,’” Linder explained. For more information about Vocal Trash and Dollywood’s Season of Showstoppers, please visit Dollywood.com or call 1-800-DOLLYWOOD.